In 2014 Westminster Archives discovered that the council’s WW1 staff memorial had disappeared. Unveiled in 1921, the memorial had proudly stood in the old town hall in Charing Cross Road until it was sold twenty years ago. Despite a thorough investigation no trace of its whereabouts could be found. Fortunately Westminster Archives had an original programme from the unveiling and undertook to investigate the names it listed. One name stood out. Private Ernest Boots, killed on July 1st 1916, a date when the army lost 20,000 men in one day. Ernest was born in Belgravia in 1883, but not with a silver spoon in his mouth. His father had been a carman, the white van men of Victorian London. Ernest’s first home was a slum in Gregory Street, by the side of Pimlico’s Grosvenor Canal. 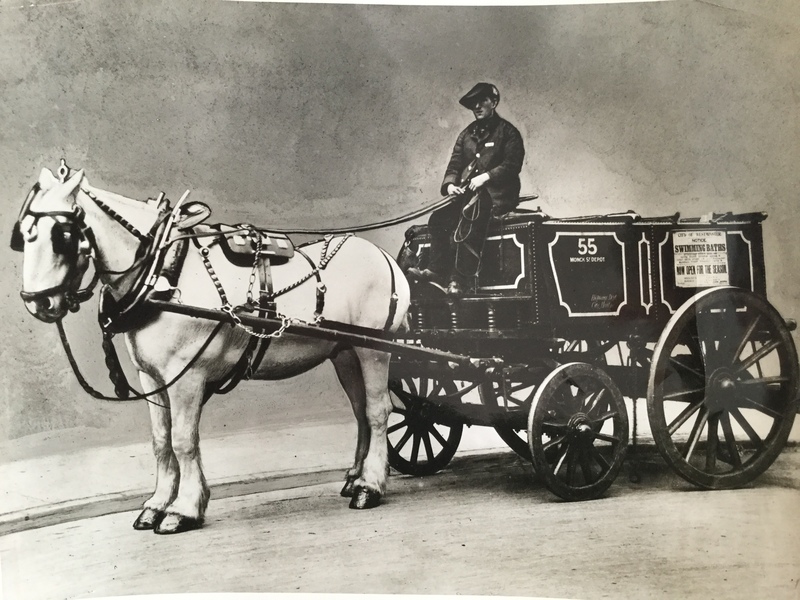 His father Bill worked for a corn chandlers delivering fodder for the horses that underpinned London’s economy. Living by the Grosvenor canal was central to his job as it was the means by which tonnes of the fodder he delivered arrived in the capital. The music hall favourite, ‘My Old Man Said Follow the Van’ could have been written for the Boots family who lived a precarious existence flitting from one canal-side home to another. The only constant for Ernest was his attendance at St Michael’s CE School, Belgravia. When his father died in 1899, Ernest first took a job as a bank messenger, a light porter, before answering the call of Westminster Council to deal with ‘The Great Manure Crisis.’ Ernest was one of a legion of road sweepers recruited in 1904 to stop Westminster becoming submerged under tonnes of horse manure. Based in Monck Street he witnessed the council take a leading role in tackling the crisis by switching from a horse drawn fleet of dustcarts to motorised ones that took the city’s rubbish to the Gatliff Road depot beside the Grosvenor Canal, where it was sent by barge to Essex. Ernest married Sarah in 1905 at St Michael’s church, Belgravia. When war broke out in August 1914 he was in no rush to join up with a wife and five children. Perhaps he was swept by his own broom into the Cockspur Street recruitment offices. His boss Arthur Ventris gave him permission to join the King’s Royal Rifles (KRR) in April 1915. Just over a year later on 23rd June 1916 he was one of 47 new recruits to join the 2nd KRR as they prepared for Operation Triangle, a diversionary attack planned for the night before the ‘Big Push’ on the Somme. Ernest left the trenches at 9.10pm on the 30th June for an attack which ended in bitter failure at 3am on July 1st 1916. His wife Sarah never found out exactly when he died. She was three months pregnant and would give birth to Ivy who would never know her father. Poverty meant she could not visit his grave in France so it meant a lot to her that the council unveiled a memorial in 1921 in the city Ernest once called home. Private Ernest Boots was one of many men recruited by Westminster Council to cope with the Great Manure Crisis of the early 1900s when horse dung threatened to overwhelm Westminster’s streets. 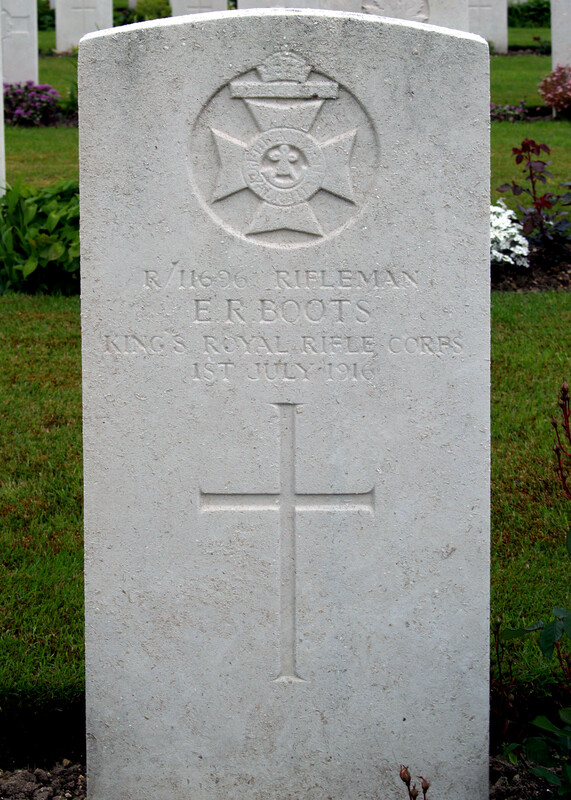 Private Ernest Boot’s grave at Maroc Cemetery France. 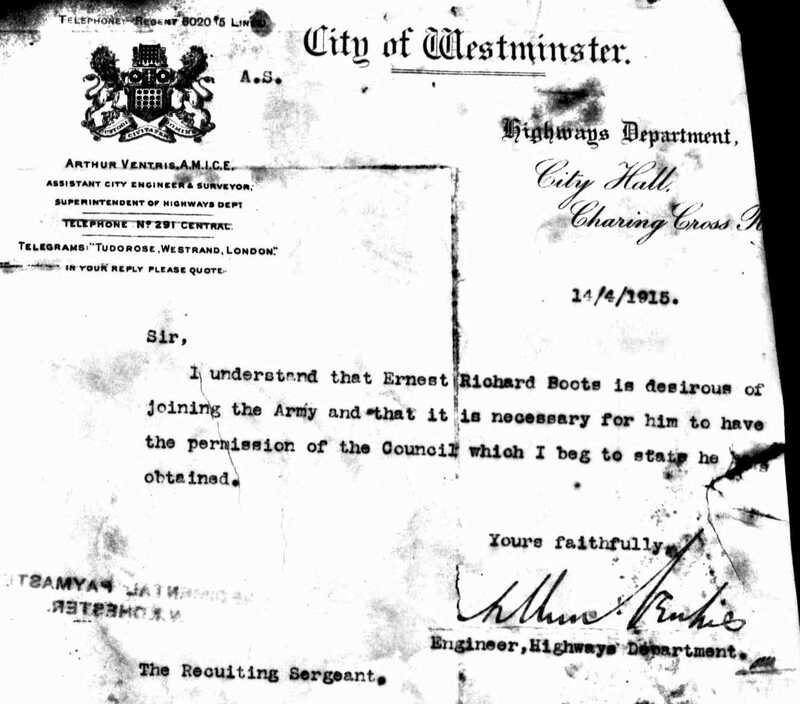 Westminster Council’s Chief Engineer Arthur Ventris gave Ernest Boots permission to join the King’s Royal Rifles in 1915. 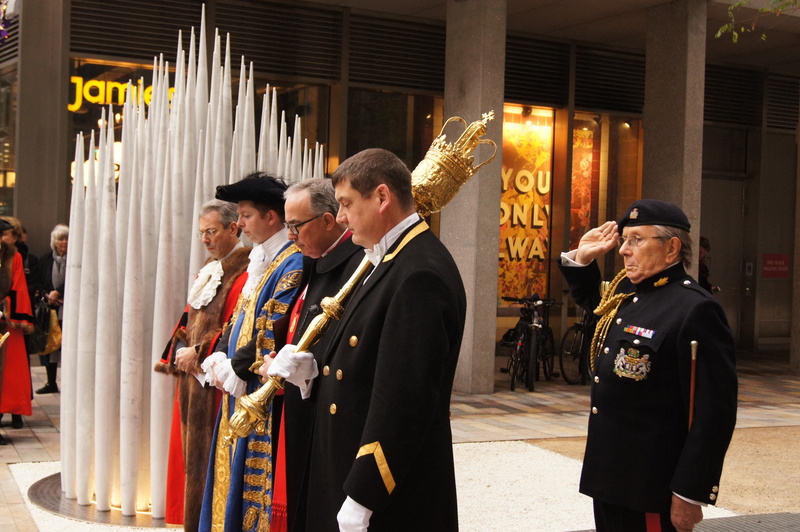 Westminster Council unveiled a replacement staff war memorial outside Westminster City Hall in Victoria Street. 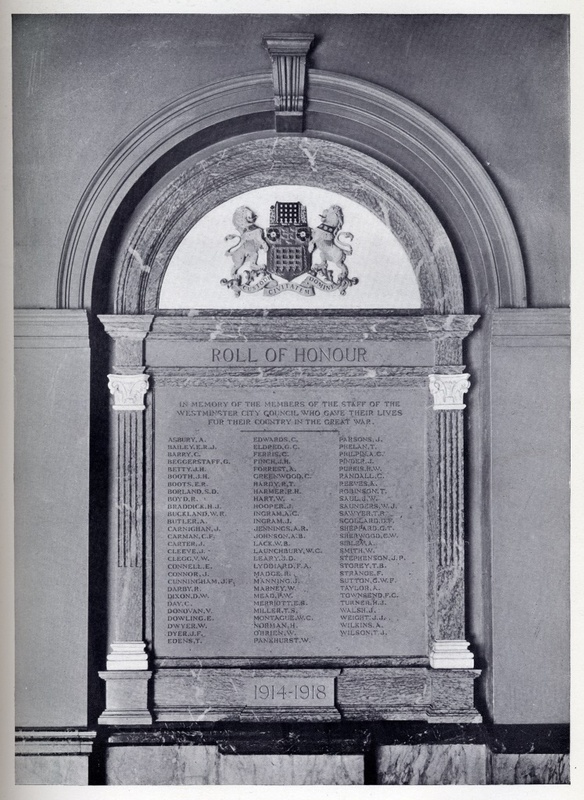 The original Westminster Council staff war memorial including the name of Private Ernest Boots was unveiled in 1921 but went missing in the 1990s.